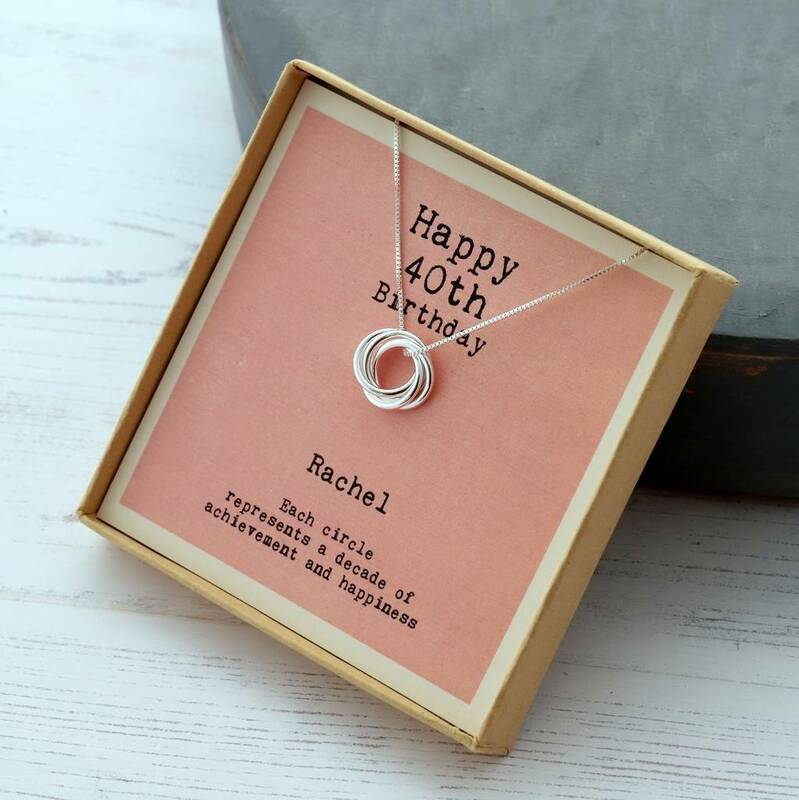 This edition features a sterling silver necklace with four circle pendants on a handmade presentation card with a message to say 'Happy 40th Birthday'. 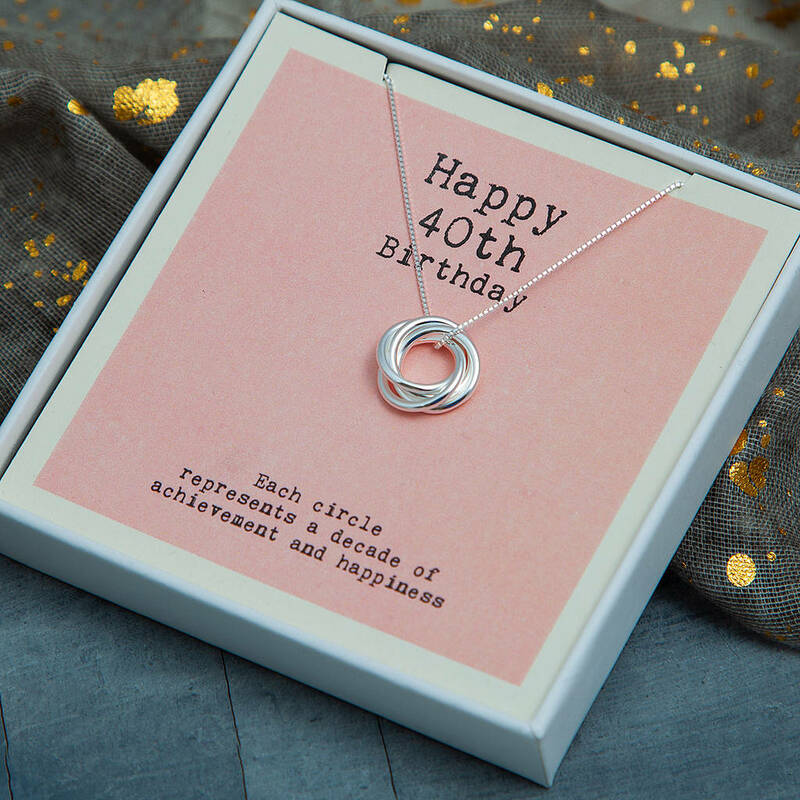 This item makes an unusual and thoughful gift for someone who is just turning 40. 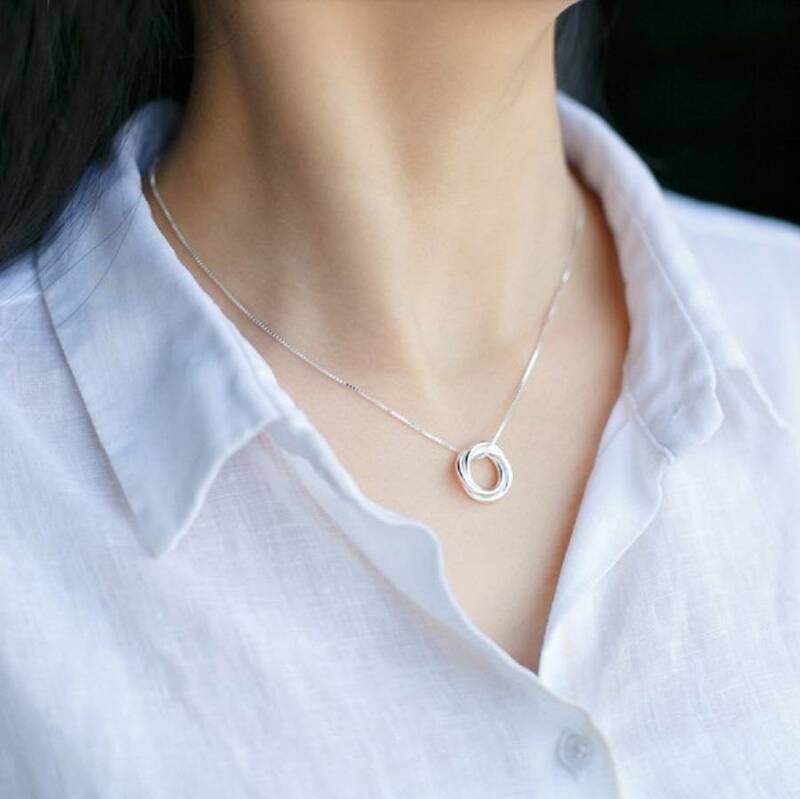 ***Personalisation: The necklace comes without a name, if you would like to have the recipient's name printed, please select the option, there will be a small charge. We own the copyright for this design, please donot copy.